The BGMA represents the interests of UK based manufacturers and suppliers of generic medicines and promotes the development of the generic medicines industry in the United Kingdom. The British Generic Manufacturers Association (BGMA) is made up of members of the generic manufacturing supply industry, who between them account for approximately 85% of the total UK generic market by volume. A key feature of the strong generics industry in the UK is that it introduces competition to the supply of prescription medicines making them more affordable to the NHS and enhancing their availability to patients. According to NHS figures (NHS Digital), more than a billion items are prescribed generically every year. The increase of generic prescriptions, allied with a reduction in the net ingredients costs, means that overall savings to the NHS medicines bill have now passed more than £13 billion annually. Our industry’s mission is centred around increasing patient access to life saving and life changing medicines. We do this by bringing competition to the medicines marketplace at the molecule level when patents (and / or any data or market exclusivity) expire. This competition reduces market prices, enhances security of supply, and fosters incremental and primary innovation—all of which support increasing patient access. Examples of innovation include new administrations and dosage strengths. The evidence is that this sort of competition controls the price of medicines more effectively than direct intervention. We believe, therefore, that direct price control by the Government should only be employed where competition has been shown to be ineffective. Looking at 40 originator products to come off patent since the start of 2014, the introduction of generics saw sales prices reduce by an average of 89% in this time. Items prescribed generically every year. The British Generic Manufacturers Association (BGMA) in conjunction with the regulatory body the MHRA, runs a successful forum focusing on ensuring the manufacturing quality of generic medicines in the UK. The group meets three times a year to share and discuss the latest issues which impact on the quality of generic medicines. The forum brings together generic medicines companies, those who provide manufacturing and quality control services, as well as the MHRA. Paul Fleming, the BGMA’s Technical Director, said: “As regulatory requirements and supply chains become ever more complex, supporting high quality standards is vitally important for the pharmaceutical industry, patients and the value we deliver to the NHS. From a generic medicines perspective, the forum is an important outlet which is closely aligned with the regulator allowing increased mutual understanding as well as the ability to share the latest information quickly and easily. The BGMA operates through a series of expert working groups that cover Regulatory Affairs, Economic & Commercial (Pricing, Reimbursement, Market Access, etc), Secondary Care, Sustainability, NHS Partnership, Legal Issues and a specialist sector group on Biosimilars via our sister organisation the British Biosimilars Association (BBA www.britishbiosimilars.co.uk). These groups are overseen by the Board. The working group chairs and vice-chairs are elected by the members of each group and ratified by the Board, which is the Association's decision making body and which meets six times a year. The working group chairs and vice-chairs report and recommend to the Board, thus ensuring that the Association's policies and activities are member-driven and that all members have an equal input to the decision making. The day-to-day running of the BGMA is headed by Warwick Smith, the association's director general and a secretariat. The BGMA also elects a chairperson and vice-chairperson on a rotational basis drawn from the membership. The current chairman is Tim de Gavre and the vice-chair is Peter Ballard. Tim de Gavre is the chair of the British Generic Manufacturers Association (BGMA), and the Head of Sandoz UK. Tim is also formerly the chair of the British Biosimilars Association (BBA). Tim has been actively involved with Biosimilars since he joined Sandoz in 2010 as Global Head of Strategy for the Biopharmaceuticals Business Unit. Prior to coming to the UK, Tim was the Global Brand Director for Omnitrope, the #2 product at Sandoz and its largest biosimilar. Tim has many years of experience in consulting at McKinsey & Company and in healthcare venture capital with Frazier Healthcare Ventures. Tim has an MBA from The Wharton School and a BA from Princeton University. Peter is the current vice-chair of the British Generic Manufacturers Association as well as formerly holding the role of chairman. His first career was in the contact lens industry before he entered the world of generic medicines. Peter is a former head of Accord UK and previously he was Managing Director of Genus which he joined in 2004. Peter has been involved with the BGMA for well over a decade and was involved in the creation of Category M.
Warwick Smith is the Director-General of the British Generic Manufacturers Association. He is a member of the Board and Executive of the European Generic medicines Association (EGA), and was one of its Vice Presidents from 1995 to 2000. 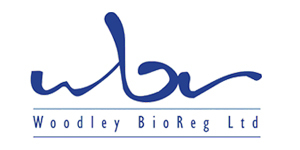 During Warwick’s period as Director-General of the BGMA, the Association has negotiated a long term market based reimbursement system for generic medicines giving the industry freedom of pricing and has agreed work sharing schemes with the national regulatory agency (MHRA) to reduce significantly the workload on members. Additionally the association has held joint seminars with the MHRA, successfully countered attacks on biosimilars, is about to agree new arrangements for secondary care contracts and the outsourcing of hospital pharmacies, and has agreed a joint study into the sustainability of the generic industry in the UK with the British Government. Robert has worked for the BGMA since 2009. In his current role, Rob initiates and supports the BGMA’s engagement with Government, Parliamentarians, as well as relevant health bodies and other stakeholders, regarding the public reimbursement, pricing and procurement of medicines in both primary and secondary care. Among other areas, Rob is currently focused on helping the Association to articulate its position around the developing homecare market. Jeremy has worked with the BGMA since 2011 and heads up all internal and external communications activity on behalf of the association. He also is actively involved in stakeholder engagement, membership services, events and networking. Paul Fleming is Technical Director of the British Generic Manufacturers Association (BGMA) and the British Biosimilars Association (BBA). The roles include close and regular working with MHRA, Department of Health and Social Care, the NHS, UK Government and other stakeholders. 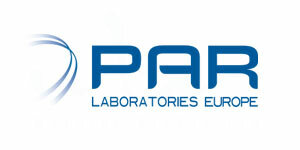 At a European level, Paul is a member of the regulatory and quality committees of Medicines for Europe. In 2015 he wrote the Regulatory Efficiency Report for EGA, setting out a wide range of recommendations identifying opportunities for improvement within the regulatory system for generic medicines.. Paul has 15 years’ experience from working in the generic sector of the European pharmaceutical industry, in a variety of senior board level roles covering R&D, drug regulation, pharmacovigilance and clinical development. Earlier in his career Paul spent six years with the MHRA as a pharmaceutical assessor. He is a registered pharmacist and holds a higher degree in pharmaceutical technology. Throughout his professional life Paul has maintained an involvement with the science of pharmaceutical development connecting to how medicines can be used for the maximum benefit of patients and the NHS. Ania has worked for the BGMA since 2007. In her current role, Ania supports the BGMA’s engagement with the Medicines Healthcare products and Regulatory Agency (MHRA) particularly on collaboration or work sharing schemes which have resulted in efficiency savings and unnecessary duplication for both the membership and the Agency. Ania also supports the Association’s work in the on-going dialogue with the MHRA Board about service delivery and how this can be improved from both the Agency and membership perspective. Carol Blount is a senior level healthcare consultant with more than 25 years’ experience in the pharmaceutical industry. Carol has previously held the role of NHS Partnership Director at the Association of the British Pharmaceutical Industry (ABPI). Her work included patient access and uptake of medicines, medicines optimisation, partnership working with the NHS and national & international uptake metrics. During her time at the ABPI, Carol worked in partnership with senior stakeholders in the Department of Health and Social Science (DHSC) as well as NHS England’s innovation, medical and NHS Partnership teams. Carol began her career as a medical representative with Bayer and held a number of senior sales, marketing and commercial leadership roles within Bayer and AstraZeneca. Her experience covers a wide range of primary care and specialised therapy areas, commercial and innovation. Before joining the pharmaceutical industry, Carol graduated from Bath University with a BSc Honours degree in Applied Biology. As a national association member of Medicines for Europe, BGMA asks its members to disclose certain in-kind or actual transfers of value that have been made over the previous year to healthcare professionals, healthcare institutions or patient organisations. Some BGMA (and BBA) members already voluntarily disclose this information through their membership of other trade bodies; and so they do not need to report twice. Some BGMA members have chosen to post their disclosure record on their own website. And some members have opted to post their return on the BGMA website. Reporting a nil return or a transfer in value? Making medicines more affordable to the NHS and therefore increasing patient access to important, and potentially life-saving, drugs is a key role of the UK generic and biosimilar medicines industry. The NHS faces major funding challenges due to increased demand from an ageing population as well as the rising cost of new technologies and drugs. Generic competition already saves the NHS more than £13bn a year and allows further investment in new drugs which can support unmet patient need. Manufacture of Atorvastatin - the generic equivalent of the top-selling global branded drug Lipitor - has saved the National Health Service (NHS) more than £350million in the first 12 months following the expiration of Pfizer’s patent exclusivity. To improve consistent information to patients and significantly reduce the prohibitive cost to the industry and the regulator of each company user-testing every single patient information leaflet (PIL) - at a cost per test in the region of £10,000 - the BGMA co-ordinated user testing of a limited number of typical PILs ensuring that patients received the benefit of common wording for each product irrespective of the manufacturer. Generic medicines in the UK must comply with exactly the same standards of quality, safety and efficacy as all medicinal products. They are produced in regularly inspected plants by the UK medicines regulator the MHRA. Just like originator products, once a generic medicine is sold on the market, it must be monitored by the manufacturer in case any adverse reactions are reported. The BGMA runs a forum in conjunction with the MHRA to focus on issues and guidance relating to quality. The group meets three times a year to share and discuss the latest information which impacts quality in the generics industry from auditing and inspections through to data integrity and issues surrounding API. The UK generics industry is the engine room behind a virtuous circle of innovation and cost containment. Each year more than 1billion items are prescribed generically in England and Wales unlocking significant savings for the NHS. As well as delivering cost-savings, generics also provide value through a number of means not least widening accessibility. One of our members developed a liquid version of a product which was previously only available in solid dose. This enabled children and adults with swallowing difficulties (such as following a stroke where there is paralysis of the mouth) to access the drug safely. 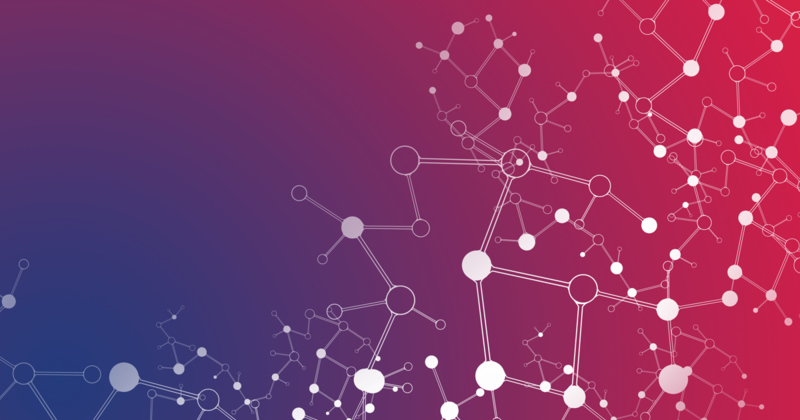 Other BGMA members are looking at new therapeutic entities, which are based on the molecule, and formulated, delivered or used in a novel way to meet unmet patient need. These include a new route of delivering a Parkinson’s disease drug, a beta blocker as a once a day glaucoma remedy, and an extended-release once a month and once every three months injection of risperidone (to treat schizophrenia). The generic industry in the UK is amongst the most efficient in the world with prices currently amongst the lowest in Europe. Competitive prices, and proportionate regulation are required, if the industry is to continue to deliver savings as well as fund the necessary development of the more complex medicines, including biosimilars. The British Generic Manufacturers Association (BGMA) and the Department of Health signed an agreement to work to explore potential challenges to the sustainability of the generic pharmaceutical industry in England. Based on proposals from the BGMA, the Department will facilitate conversations across government to understand issues and to identify where appropriate action can be taken. The UK generics industry is a key part of an efficient supply chain which ensures patients access the medicines they need in a timely and affordable manner. As part of this manufacturers liaise regularly with Government, regulators and commissioners to ensure product safety, quality and certainty of supply. In the key area of new product registrations, BGMA has been closely surveying MHRA performance year on year and identifying areas requiring improvement, for discussion with the regulator. This has resulted in major improvement in the time taken for new generic medicines to be registered in the UK. This is greatly assisting the predictable timely availability of generic medicines for patients, healthcare professionals and has also resulted in NHS cost savings. With the increasing weight of new legislation coming from Europe, the BGMA continues to work closely with MHRA to ensure its drafting and UK implementation is well managed, and minimises red tape and over regulation. The BGMA is a member of the cross-industry group the NHS Pharmaceutical Sector Board alongside NHS England and the Association of the British Pharmaceutical Industry (ABPI). The BGMA successfully completed a breakthrough project with the MHRA involving 12 separate generic companies which were required to communicate information for the diabetic drug Pioglitazone. The project saw safety information centrally co-ordinated by the BGMA on behalf of the 12 companies which was then approved by the MHRA and sent to healthcare professionals. This meant the regulator was not required to approve 12 separate applications and those receiving the mailings received one set of consistent, clear information.